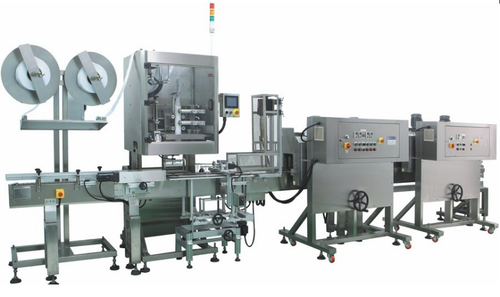 Avail from us a variegated range of automatic Shrink Sleeve Applicator that is designed in tandem with set industry standards. This application device ensures accurate insertion of sleeves. Established in the year 2004, we, “Kb Associates.”, are one of the leading organizations, engaged in manufacturing, supplying and exporting a wide range of Liquid Filling Machine, Bottle Filling Machines and many more. All our products are designed and developed in compliance with international quality norms & standards, using premium raw material and latest technology. These products are known for their corrosion & abrasion resistance, sturdy construction, low maintenance, longer service life and excellent performance. In addition to this, we have the capability to customize all the products as per the demands and needs of customers.